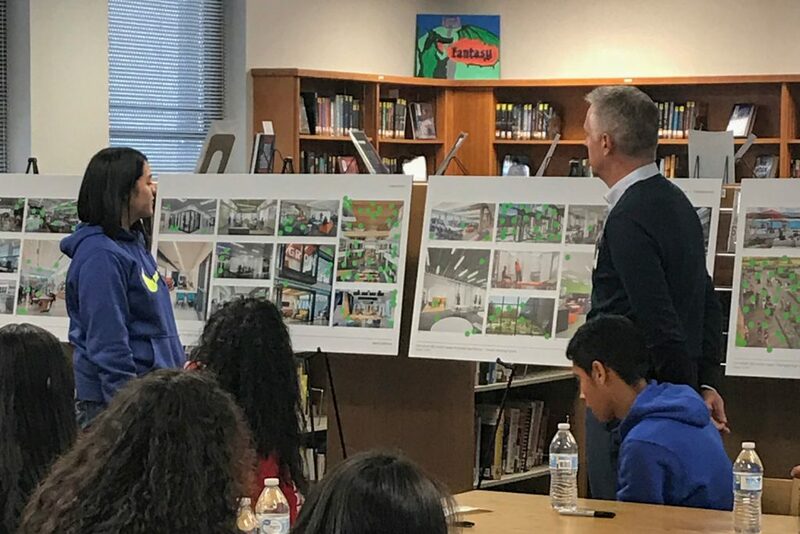 Amon Carter-Riverside High School will receive a new Fine Arts building and Science classrooms/labs building. Conceptual renderings give a look at the additions to the school from the outside along with the new courtyard for the students to enjoy. 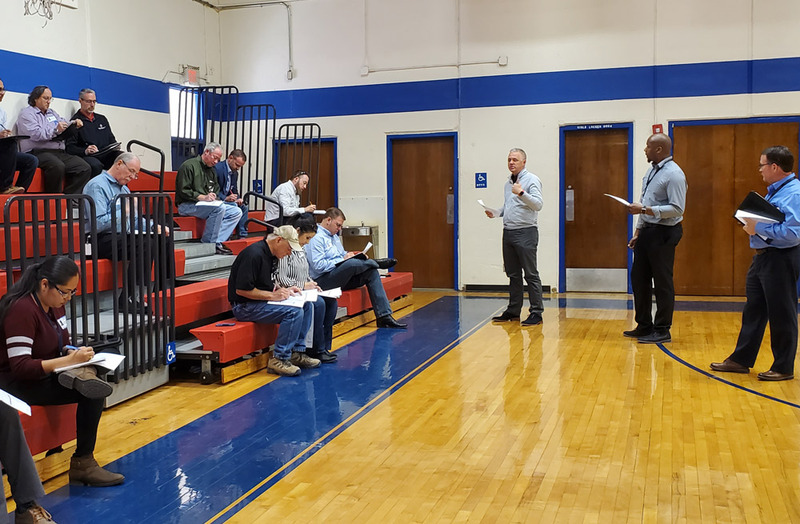 A pre-proposal meeting was held for the bid opportunity, RFQ-CMAR 19-035 Amon Carter-Riverside HS Addition and Renovation, where vendors found out more information about aspects of the procurement process, proposal requirements, contract time, budget and scope. Vendors were taken on a tour of different parts of the school to be renovated. To stay up to date on upcoming bid opportunities, please visit fwisd2017bond.com/vendors. 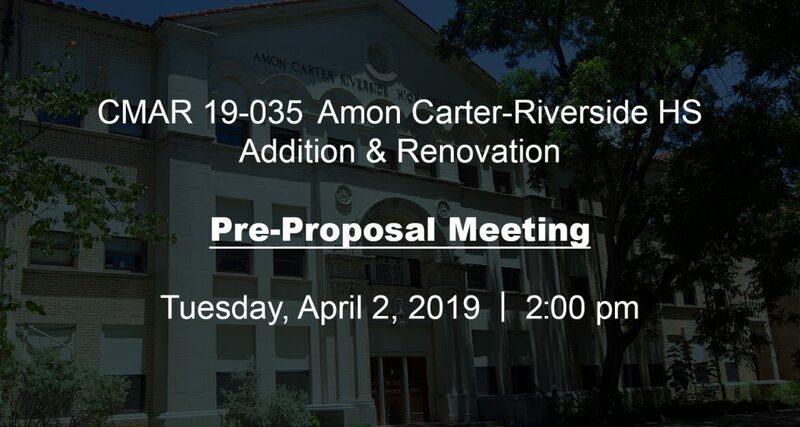 Pre-proposal meeting to be held on Tuesday, April 2, 2019 at 2:00 PM for the bid opportunity RFQ-CMAR 19-035 Amon Carter-Riverside HS Addition and Renovation. Find out more information by clicking here. A Word Association Activity to help establish a vision for what students would like to see incorporated. Words such as collaborative, energetic, timeless, open and vibrant rose to the top. A Visual Listening Activity where students used colored dots to place on image boards denoting images that had meaning to them. This activity will give Glenn Partners the idea of the architectural planning and types of space students would like to see incorporated into the project. A Student Mapping Activity where students designated where the heart of the campus is and/or should be, where they gather, arrival and exiting points, and their daily travel paths. A Building Block Activity where students got to create a master plan for their campus.